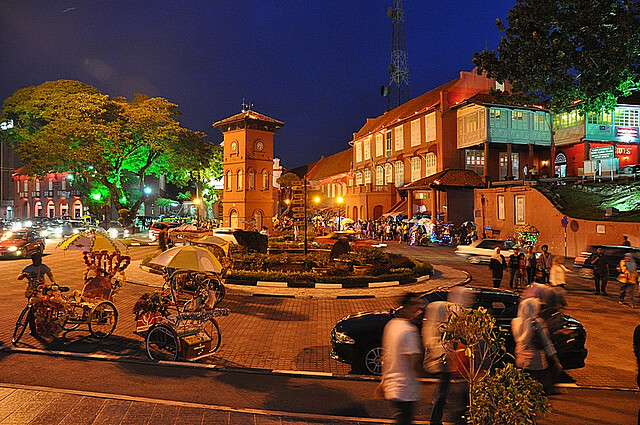 Melacca is one of the oldest city in Malaysia, which was founded in the 15th century. for past few hundreds years, it had been rules by few different European nations since the Melacca Sultanate was conquered by Portuguese in 16th Century. It was then subsequently ruled by Dutch and Britain before it gained dependency in 20th Century. You can find many trace of these European’s colonialism in today’s Melacca city. In fact it was accorded as a UNESCO world heritage site in 2018. The rich historical heritage legacy from different rulers has actually made Malacca as one of the best place to visit in South East Asia. Let see what are the Top 10 tourist attractions in Malacca. A Formasa Fort is the most recommended heritage place to visit in Melacca. Used to sprawl across a whole seaside hilltop, but now only a lone preserved whitewashed gatehouse located downhill form St.Paul’s Church. (Porta de Santiago). The fort has left behind some 16th century architecture and a long history. 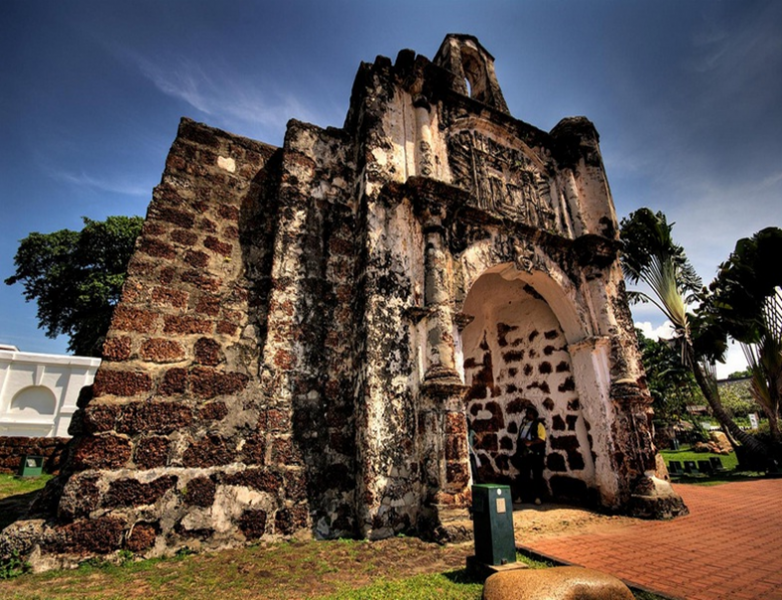 It was originally built in 1511 by Alfonso de Albuquerque who lead the Portuguese invasion on Melacca Sultanate. It is believed one of the oldest European structures in the whole Asia. The original fortress (Porta de Santiago) was constructed to prevent a return attacked by the defeated Sultanate or the attack of other European nations. However, Melacca and A Formasa was eventually conquered by Dutch. It was again given to Britain as Dutch feared it will be taken down by Napoleonic France. Too bad the British chose to destroy it instead of fortifying it further. That’s why we are seeing only a lone fort at the original place now. Located at the base of St.Paul’s Hill, Melacca Sultanate Palace is a museum that replica the Sultan Mansur Shah’s palace which was demolished in 1511 by Portuguese attackers. It was painstakingly built based on the historical descriptions of the Sultan Mansur’s Shah’s palace using traditional construction techniques and materials. There was no a single nail used. 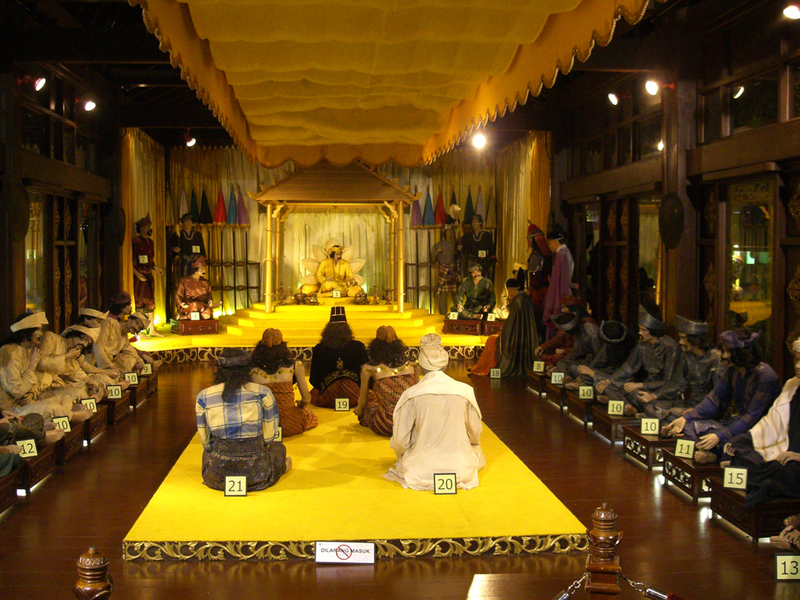 Within the museum, you can find a series of dioramas that depict the typical daily life in the 15th century’s palace. It house seven gallery rooms that reveal what a Sultanate chamber meeting might have been like with supplicants and guards. 1300 other period items, including Malay dress, arts and crafts are also on displayed here. Located along Jalan Gereja or Church Street, Christ Church was built by Dutch in 18th century when they took possession of Malacca from the Portuguese. 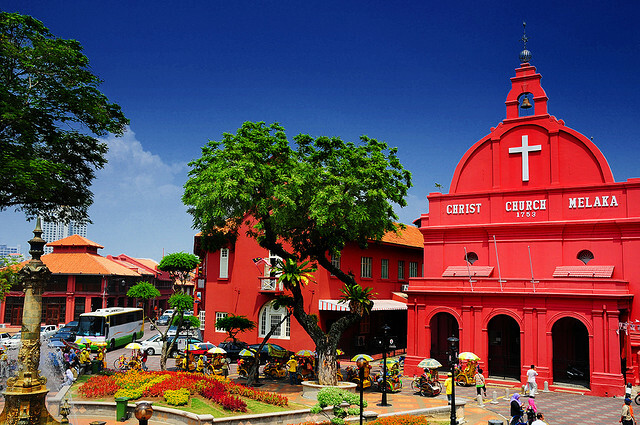 It is one of the most iconic structures in Melacca today with red red painted brick wall and a huge white cross at the top. The inside of the cathedral is inlaid with a number of tombstones, written in Dutch, Portuguese, Armenian and English, as well as some 200 year-old handmade pews, decorative fanlights that honour Dutch soldiers during the colonial times. One of the most popular MUST VISIT attractions that flocked by thousands of visitors from all over the world each year. 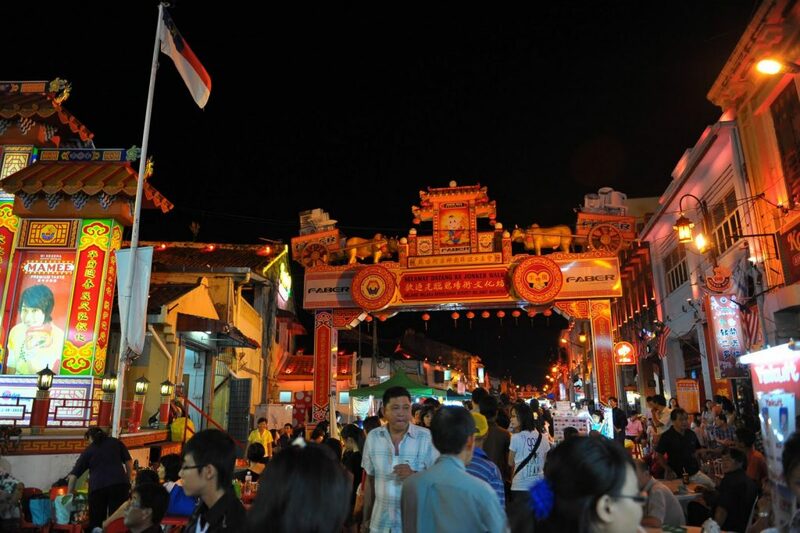 Located in the centre of Melacca’s Chinatown, Jonker Street has many 17th century manors, restaurants and shops. Originally was built in Dutch Colonial times, today there are further decorated with Chinese accents like some huge Chinese-style archway were added. Due to it’s popularity among visitors, the local government has even created an attraction called Jonker Walk here. 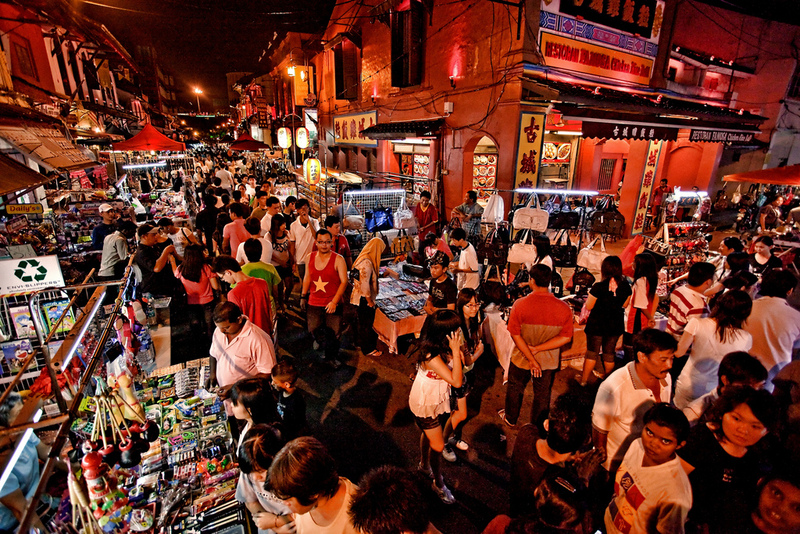 Jonker Street will turn into live vibrant night market after sunset, especially when it will become pedestrian-only night market after the street is being blocked on every Friday, Saturday and Sunday evening. With wide array of stalls and restaurants, you will not only enjoy all the local foods here, but also find a lot of souvenirs and ubiquitous bargains here while enjoying the live music and party-like atmosphere here. 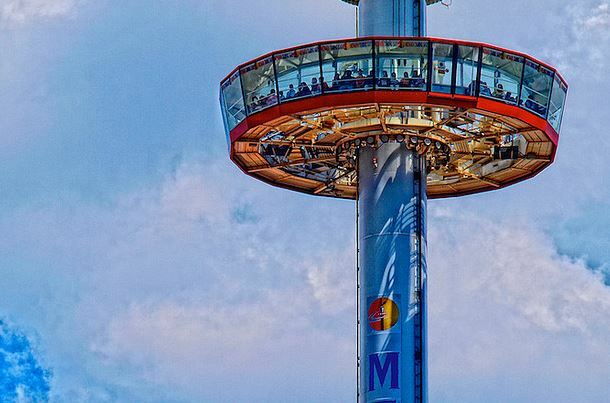 Menara Taming Sari is a 110 meters tall revolving tower which gives a 360 degree view of Melacca city during the 7 minutes ride. It remains one of the main attractions for tourists who want to see how the city looks at a glance, especially at night when Melacca turns into a very mystical city with beautiful lighting everywhere when seen from the tower. There are many other activities below the tower area as well for children and family. For example carnival rides, electric car rental, merry go-round, pony rides etc..
Baba Nyonya or Peranakan is a unique culture that has blended Chinese and Malay cultures together. Peranakan is one of the most important culture that you can only found in Malaysia and Singapore. 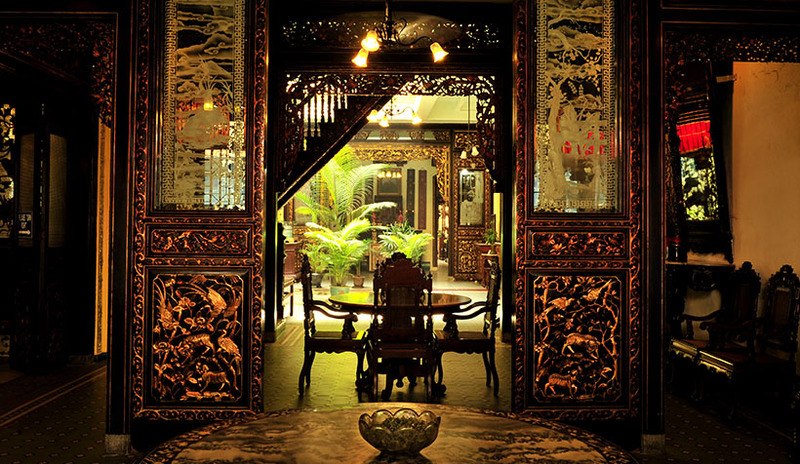 Built in 1896, the Baba Nyonya Heritage Museum is one of the finest depiction of the complex and wonderful combination of Chinese and Malay culture. 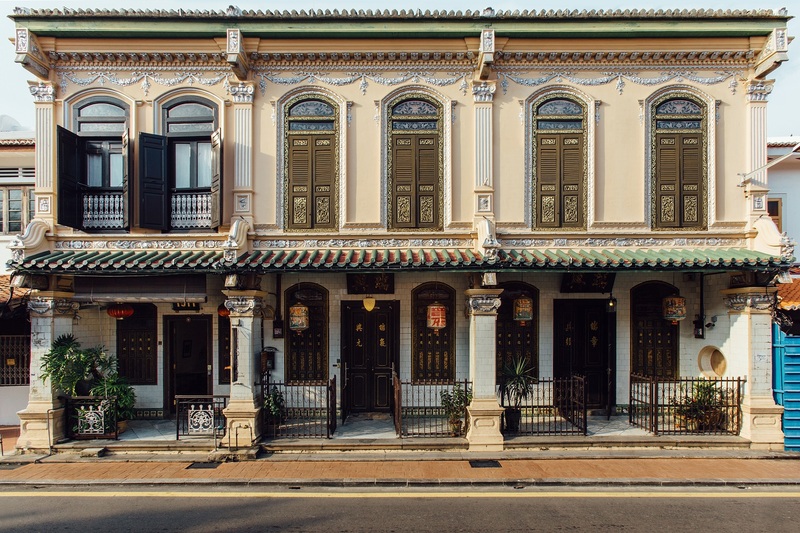 It is a collection of three beautifully restored houses arranged to resemble a converntional 19th-century Baba-Nyonya residence. You can find a number of crafts, handiwork, huge painted tapestries with elaborately carved frames. woodworking pieces, furniture and porcelain that are unique to Peranakan culture in this rare museum. 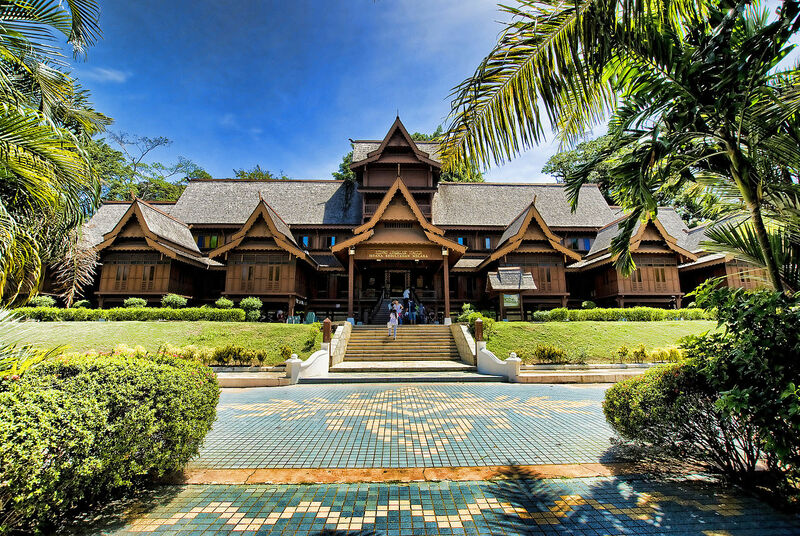 You should include this Heritage Museum as one of your favourite visiting point as this will deepen your understanding of Malaysia multicultural society, where Peranakan culture is one of them. Located at Jalan Tokong, near to the famous Jonker Street in the Melacca City, Cheng Hoon Teng Temple is the oldest temple in Malaysia, and one of the oldest in South East Asia. It was built in 1646 by Chinese Kapitan (Community Leader) Tay Kie Ki. In 2003, it was granted a UNESCO award for its exceptional state of preservation and restoration as well as it’s uniqueness of the architecture. Serving the Chinese community in Melacca. As this temple practices the 3 traditional Chinese doctrines systems of Buddhism, Taosim and Confucianism, there are different prayer halls within this temple cater for each of doctrines, with the main one being the goddess of mercy, Kuan Yin. Intricate carved woodwork and vibrant lacquer painting can be seen in the temple, which architecture is a testimony to the skills of the Chinese migrant builders and craftsmen who had migrated from Southen province of China, namely Fujian and Guandong some 200 years ago. You will be amazed by the fine decorations in this temple, such as sculpture of Golden phoenixes and dragons, carvings of mythical dragons and sages of various nationalities. 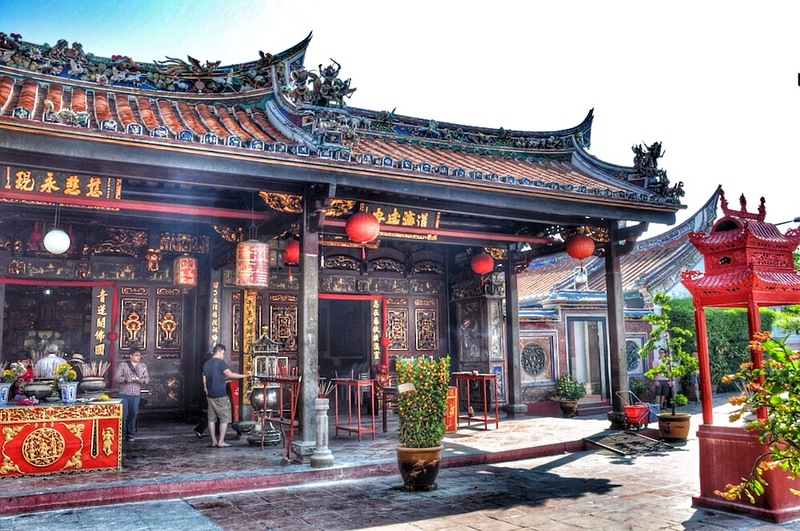 Make sure you make Cheng Hoon Temple into your must visit places in Melacca to appreciate this premier historical monument that has survived the ravage of time. Another DONT TO BE MISSED tourist attractions in Malaysia. Stadthuys is the oldest-surviving Dutch structure in Melacca and even in the East, which was built between 1641 to 1660 when Melacca was under Dutch colonial. 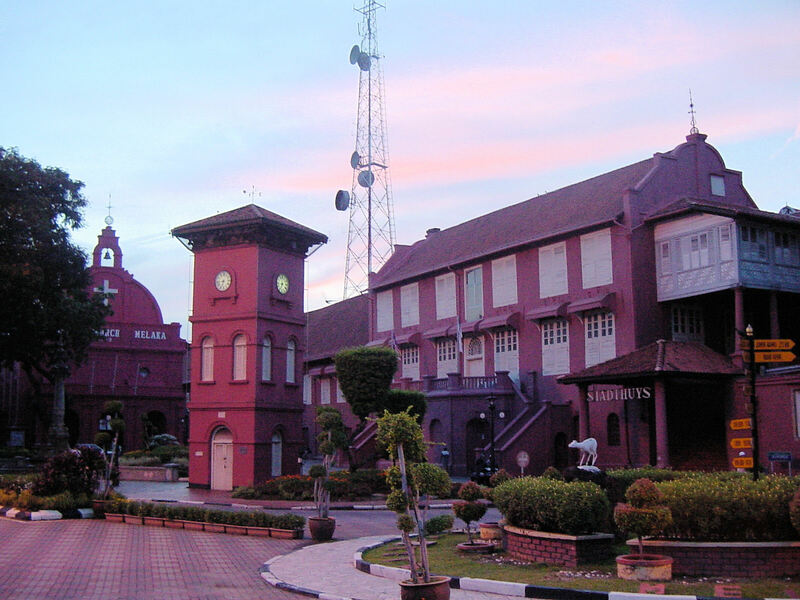 Like many Dutch Colonial buildings in Melaka, Stadhuys is a massive bright terracotta-red riverfront wooden-iron building with gigantic walls and heavy doors. For the past 300 plus years, it was the city hall of Dutch governor during Dutch colonial time and a English school under British colonial time. It is now the home to the History and Ethnography museum that houses traditional costumes and artifacts from various colonial periods in Melacca. 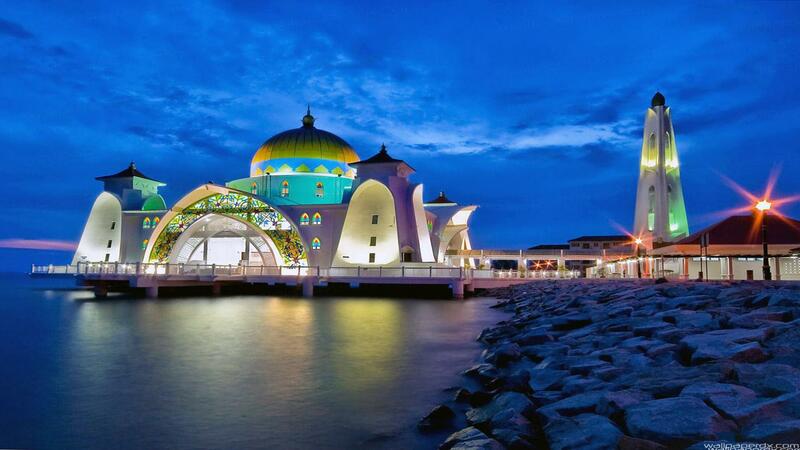 It is known as Melaka Straits Mosque in English and was completed and officially opened by the Malaysia King in 2006. It has one of the most beautiful night sight in Melacca. Built on a manmade island, it is designed to appear as if it is floating on the water during high tide, thus earned it’s a name of Melacca Floating Mosque. The mix of Middle Eastern and Malay architectural styles design, couple with large stained-glass archways with vibrant yellow and green color has made this building a very beautiful structure. One of the place you would not want to miss to take picture with at night. Situated besides Lebuh Ayer Keroh highway, this 54 acre zoological park is the 2nd largest zoo in Malaysia. However the condition of the zoo is even better than the largest National Zoo of Malaysia (Zoo Negara) since it was privatized in November 2013, and was renamed to Melaka Zoo and Night Safari. Currently there are total 1200 animals of 215 species from all over the world can be found in this zoo. 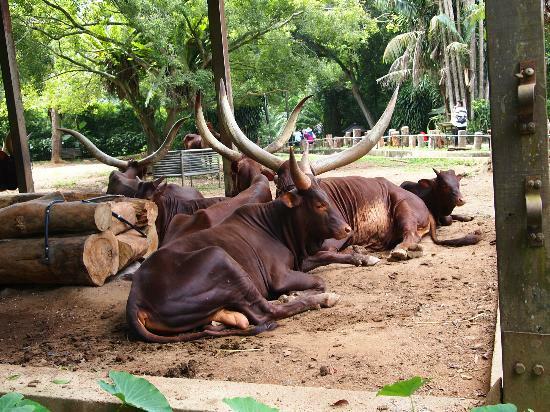 The main attractions of Zoo Melaka are the Malayan Gaur, the Indochinese Tiger, the Sumatran Rhinoceros and Serow etc. The zoo’s open concept design enable animals to move freely in their territory while visitors can see them in a safe environment. Beside the Zoo, it is well worth to visit Night Safari also, which open from 8pm to 11pm every night. You can experience the night life of the animals while the sky turn dark. 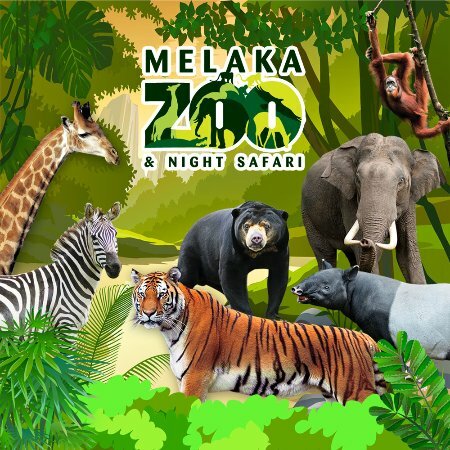 Do not miss this one-of-a-kind experience to visit Night Safari at Zoo Melaka. Located south of Kuala Lumpur International, it is only 1 hour drive from Malaysia Capital, Kuala Lumpur. It is one of the Top Tourist Destination in Malaysia, either for fun, local delights or for a cultural trip.